In an attempt to stop censorship in the internet, organizations, companies and ordinary internet users from all over the world are joining their forces today, by creating The Internet Declaration Of Freedom. 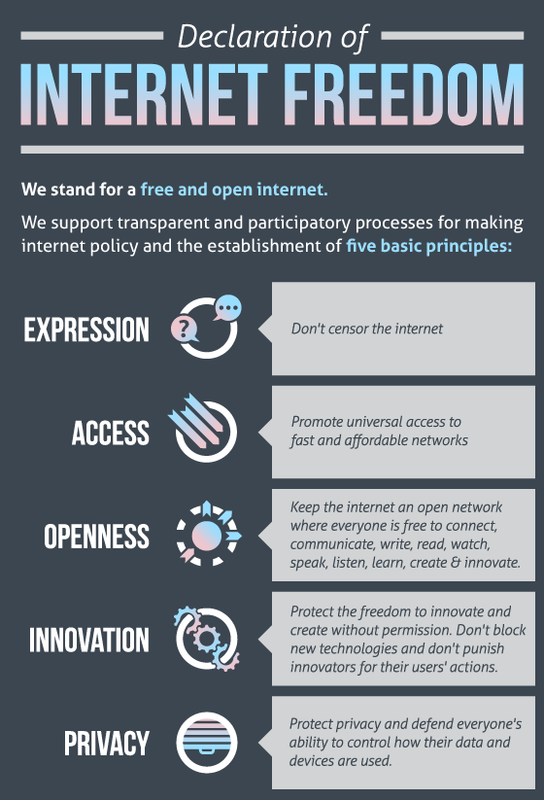 The Internet Declaration Of Freedom will prevend five basic principles which are: expression, access, openness, innovation and privacy. You can support or participate by signing the participation here.